A Disgruntled Republican in Nashville: What is on the Council agenda for April 18th: Taking of property rights, curtailing surveillance, getting a handle on city debt, and establishing standards for corporate welfare. What is on the Council agenda for April 18th: Taking of property rights, curtailing surveillance, getting a handle on city debt, and establishing standards for corporate welfare. The Metro Council will meet Tuesday, April 18th, 2017 at 6:30 PM in the Council chamber at the Metro Courthouse. Council meetings are really boring and I watch them so you don't have to and yet can still be a well-informed citizen of our city. If, however, you are going to watch the council meeting, you really need the agenda and the Council staff analysis, otherwise you will be clueless about what is going on. Follow the highlighted links above to view the agenda and staff analysis. There are six appointment to Boards and Commissions on the agenda and you can expect all to be approved unanimously. There are no public hearings this council meeting. There are 18 bills on First Reading but bills on First Reading are all lumped together and pass by a single vote except in rare cases. I usually do not read bills until they get to Second Reading. There are 23 resolutions on the consent agenda. Resolutions on "consent" are passed by a single vote of the council instead of being voted on individually. All resolution are initially on "consent," however, if a resolution has any negative votes in committee it is taken off of consent. Also any council member may ask to have an item taken off of consent or to have his abstention or dissenting vote recorded. Most of the resolutions are routine things like accepting grants. Here are the resolutions of interest. RESOLUTION NO. RS2017-615 by Councilman Grover would would require that when an agency of the government request Capital improvement funding, to inform the Metropolitan Council at the same time of such submissions to the Director of Finance. This seems like a wise move. The Council needs to be involved early in the process of exerting control over the city's debt. RESOLUTION NO. RS2017-616 by Councilman Glover adopt a new policy requiring a maximum limit of 10% on the annual budget as the amount of debt service funds appropriated to service bonds. When the city borrows money, the amount of money it takes to pay the bonds which finance the borrowed money is a part of the annual operating budget and is called "debt service." The city has never had a policy establishing a limit on debt service. My inclination is to support this effort but I have some questions. If the city should have a reduction in revenue, then a debt service that may have been less than 10% could then be more than 10%. How would that be resolved? Also, how would this effect our bond rating? Also, the Council cannot restrict a future council's spending. I support the effort to get control of Metro's spending. In addition to debt service, Metro pension and health insurance liabilities are areas of concern and should be addressed. I think the city should go from a defined pension benefit system to a defined pension contribution system, but no one has proposed such. The city is awash in money now, but someday there is bound to be a slow down. While cutting budgets are painful, if parts of the budget are beyond the council's control such as debt service and pension obligations, then budget reductions become much more difficult. For those who want a better understanding of this issue, you may want to watch the Budget and Finance Committee meeting on Monday April 17th. RESOLUTION NO. RS2017-640 proposes several amendments to the Metro Charter. If approved by the Council, the proposed charter amendments would go on the ballot to be voted on by the public in August 2019. This would do nothing substantial. Anywhere were the term “tax assessor” is used in the Charter it would change it to “assessor of property.” This is to conform to a State change. This was deferred last Council meeting. The staff analysis says it should be deferred indefinitely. RESOLUTION NO. RS2017-646 and RESOLUTION NO. RS2017-647 declare some Metro owned parcels of property "surplus" and transfers them to the Barnes Fund and names and appropriates money to selected non-profits to develop affordable housing on those parcels. The non-profit agencies receiving grants are New Level Community Development Corporation, Habitat for Humanity of Greater Nashville, Woodbine Community Organization, and Rebuilding Together Nashville. RESOLUTION NO. RS2017-648 selects of the Neighborhoods Resource Center to operate the Codes Offender School. This is disappointing and if I were serving in the Metro Council I would vote against it. The Codes Offender School will be much like the DUI School, and the Animal Offender School already in existence. An offender can pay a fee of $90 to attend the indoctrination session rather than face legal consequences. The Neighborhood Resource Center is a liberal advocacy organization. Bills on Second Reading. There are 16 bills on Second Reading. Most of them are abandoning unneeded sewer easements and water easements and other routine business. These are the bill of interest. BILL NO. BL2016-484 would give Metro approval of landfills, solid waste disposal facilities and solid waste processing facilities prior to the construction of such facilities and prior to the issuance of a permit by the Tennessee Department of Environment and Conservation (TDEC) or the Commissioner. I support this. This is more complex than it appears, however. To learn more, please read the staff analysis. BILL NO. BL2017-645 would allow passengers in horse-drawn carriages to drink and ride as long as the beverage was in a plastic or Styrofoam cup. This sounds reasonable to me. This was on Second Reading last Council meeting and deferred to this meeting. At that time the brand name "Styrofoam" was replaced by "foam cup." liberties implication of constant surveillance. 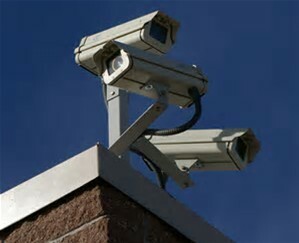 On the other hand, a lot of crimes have been solved by private cameras that have captured illegal activity. I do not see much difference between what a camera may capture and what a security guard may witness. However, this has been amended with exemptions and clarifications and I think I would support this. This was on Second Reading last meeting and deferred to this meeting. Bills on Third Reading: These are 31 bills on Third Reading and not much that is of interest. Most are rezoning bill and they have all been approved by the Planning Commission. Here is this one of interest. BILL NO. BL2016-219 is a bill to take away an owners property right and kill a proposed affordable housing development. It was deferred indefinitely following the public hearing on July 6, 2016. This bill would take away an owner's property rights by denying the property owner the right to develop the property as he currently as a right to do. This development was all set to go mid last year and Karen Johnson, the district council member, had this bill on the agenda. Why the owner has not already started development, I do not know. Back in July, the hearing on the bill had both proponents and opponents with neighbors arguing it would "ghettoize" their community and several speakers arguing in favor of property rights. Apparently many Council members had concern about the bill. Unless circumstances have changed and the owner's financing fell through or something, mostly likely the owner could win a law suit suing the city for taking his property should he bring suit. To take away a permitted use is a "taking." Property rights are more than just holding legal title. When property is taken it should only be for a public purpose and owners should be compensated for their loss. I know we now have a very liberal Metro Council, but I suspect even many liberals are not comfortable trampling property rights. If they are unconcerned about trampling property rights, they are probably concerned about exposing the city to a law suit the city is most likely going to lose and the loss of future State assistance in the form of tax credits the state has threatened to withhold should this bill pass. At the time this bill was deferred indefinably, an article appeared in the Tennessean, in which Johnson said while her proposed ordinance is considered still active the indefinite deferral will prevent the developer from getting permits needed to begin construction on the project. I did not see the logic of her reasoning since the owner already had all of the rights he needed to proceed. Metro Planning Director Doug Sloan apparently also did not see Johnson's logic either and told The Tennessean that because the owner's rights are vested, the developer should be able to move forward with getting permits approved. Why the owner has not moved forward, I do not know. There is a certain amount of hypocrisy at play in this issue. The leading proponent of killing this proposal to build affordable housing are some of the leading proponents of affordable housing in the Council. SECOND SUBSTITUTE BILL NO. BL2016-493 is the sidewalk bill which tightens up the requirements that developers build sidewalks. This makes it more difficult for a developer to pay money into a fund rather than build sidewalks. This requires a developer to build a a sidewalk even when there are no other sidewalks on the street. One opponent of this bill points out that streets will have pieces of sidewalks to nowhere. That is my understanding of what this bill would accomplish. It is also pointed out that due to grading slopes and drainage issues, that it is difficult to build sidewalks 50 feet at a time, that in the end all the pieces may not fit and that sidewalks need to be engineered corner to corner. This has been worked on for a long time and deferred about three times before on Second reading. This bill I assume is another revision. When on Second Readng several people spoke on the bill. It passes by voice vote and made amendable on Third Reading. To view the discussion when on Second see timestamp 52:36-1:21:12 in the video at this link. BILL NO. BL2017-641 and BILL NO. BL2017-642 are two bills disapproved by the Planning Commission. I have no opinion on the merits of the bills but am only calling attention to them because they are disapproved. To pass a disapproved bill requires 26 votes on third reading whereas an approved bill only requires a majority of those voting. The first one cancels a PUD on a property and second rezones the property for a self-storage facility. It appears the developer has done his homework and accommodated neighbors concerns, including setting aside part of the property as green space. BILL NO. BL2017-643 by Councilman Cooper would set a standard for awarding economic incentive grants. It says, "the amount of the economic and community development incentive grant during any year will be determined by multiplying the average number of new full time equivalent employees of the qualified company within the boundaries of the metropolitan government during the preceding year by an amount up to five hundred dollars." This is a good bill. While in a perfect world I would oppose any economic incentive grants, if other cities provide them and Nashville does not, we lose. This at least establishes some standards for when they should be awarded. It passed on a voice vote on Second Reading. To watch the Council meeting, you can go to the courthouse and watch the meeting in person, or you can watch the broadcast live at Metro Nashville Network's Government TV on Nashville's Comcast Channel 3 and AT&T's U-verse 99 and it is streamed live at the Metro Nashville Network's livestream site. You can catch the meeting the next day (or the day after the next) on the Metro YouTube channel. If can stand the suspense and just wait I will post the video here and provide commentary. A humor break: Where Are Trumps Tax Returns? Bob Corker, guest of 1st Tuesday, April 24th.